The Motivated Networker is now available as an audio book! The audio version of the book can be found on Amazon or Audible. The Motivated Networker has been endorsed by Dr. Ivan Misner, Founder of BNI (Business Network International) – The world’s largest business networking organization. Dr. Misner has been dubbed “The Father of Modern Networking” and is one of the world’s leading experts in business networking. The Motivated Networker is a part of The Motivated Series of job search books. There is a growing trend indicating that U.S. employers are re-evaluating how they compensate their employees. Employers are finding ways of using perks and benefits instead of monetary compensation. The motivation could be driven by the fact that these perks cost less than pay raises. Another plausible explanation is employers have learned what makes their job and company appealing through use of these creative perks. Employees forego exploring job changes because they like the perks their current employer offers. There is a (logical) split among employees in their view of these creative perks. Those at the lower end of the pay scale may not be as interested because they have more immediate financial needs. But, for those who are earning more, the perks have more appeal. For these higher earners, their reward for continued employment could be additional vacation time, flex time, increases in certain employee benefits, stock options, and so on. Perks that affect work-life balance and lifestyle seem to be more appealing to these higher wage earners. Jobs: U.S. employers added 148,000 jobs in December. That is over 85 straight months of employment growth in the U.S. The unemployment rate held steady at 4.1 percent. As a point of reference, the unemployment rate was 10% in 2009 which shows how our jobs market has improved over the course of time. During 2017, the economy added over 1.5 million new jobs. However, there are some indications now that the robust jobs market could be slowing. This could be a sign of an economy at “full employment” or the inability of employers to find and hire skilled employees. Wages: The average American earns over $26.50 an hour. That is an increase of over 50 cents an hour over the course of 2017. This news about wage growth has been anticipated as the jobs market begins to struggle to fill open positions. With a reduced supply of skilled workers (which will become a more prevalent issue in the future), employers will need to raise wages to attract and keep employees. Underemployment: The U-6 figure from the Bureau of Labor Statistics is a statistic which includes those who have stopped looking for work and people who want full-time jobs but are stuck in part-time positions. In December that figure was 8.1% and has been trending downward over the course of the year. Labor Participation Rate: The number of Americans in the labor force, plus those actively looking for work, has remained reasonably constant at 62.7%. Labor participation continues to struggle and still hovers close to a forty year low. This will not change partly because baby boomers continue to retire and younger Americans are choosing not to participate in the workforce. 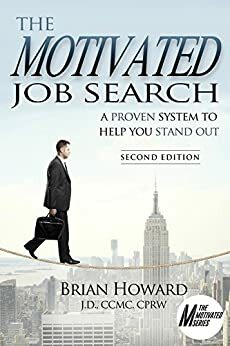 Brian Howard is an actively practicing executive recruiter and the author of the Motivated Series of Job Search Books.